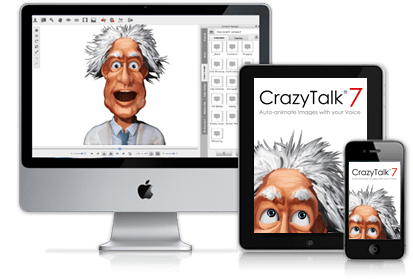 For a few days, we have been playing with Crazy Talk 7, a fun and interesting software that takes any image (any at all, a hand drawn doodle to your own picture), and turns it into a 3D animated image, which talks and shows emotions much like any good image would. Now that you know what it does, let us take a look at our experience. The software has a fairly basic installation. There isn’t any setup required once installed. Once the software starts, you are given an option to get Product Demos (the video above, and more) as well as training resources. It also gives you a lot of templates, which allow you very easily to add voices to the pre-defined templates. A simple ‘HELLO’ on the crazy scientist works very well! Obviously, we wanted to test the fact that it could import any image, and not just preloaded templates, so we took a random picture from our library. Once imported, you need to create a 3D image profile of your image, which basically means defining the shape of the face, the placement of eyebrows, eyes, lips, etc. Once this is done, the image is ready to be played with. You can also adjust items like eyes, hair, teeth, etc. an audio. This is where the magic begins, as this can take your sound and automatically do lip-syncing as well as animation from it. You can also create animations that are actually listening to audio, such as nodding to sounds, or reacting. 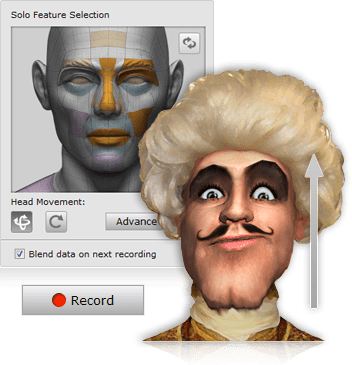 Further to the above, there are other advanced features such as face puppetry, having multiple audio tracks, adjustment of auto animation, etc. So at the end of this all, what good would this be if you couldn’t share it? Well, of course they have catered for that. You can export this as any of the popular video formats, and upload it directly to Facebook or Youtube. This means that you can this further than just your computer, and actually produce amazing videos and animations. The only limit is your imagination. I won’t lie, I had a lot of fun playing with the CrazyTalk software. While this is not the kind of thing I normally get up to, I have been pleasantly surprised by how easy it is use, and how easy it is to create fun videos. Definitely suggested for anyone who wants to create fun videos. Also, you get a time trial, so you can decide whether this is for you or not.